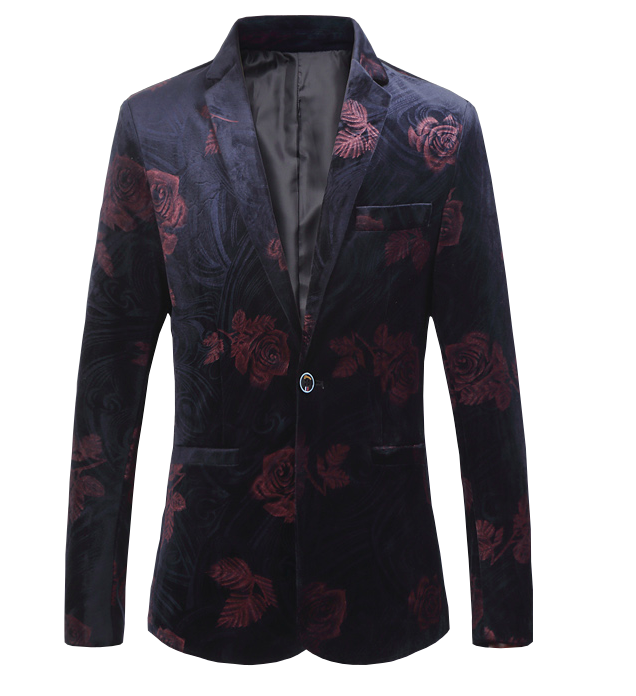 This elegant navy blue blazer is high quality and made with velvet. 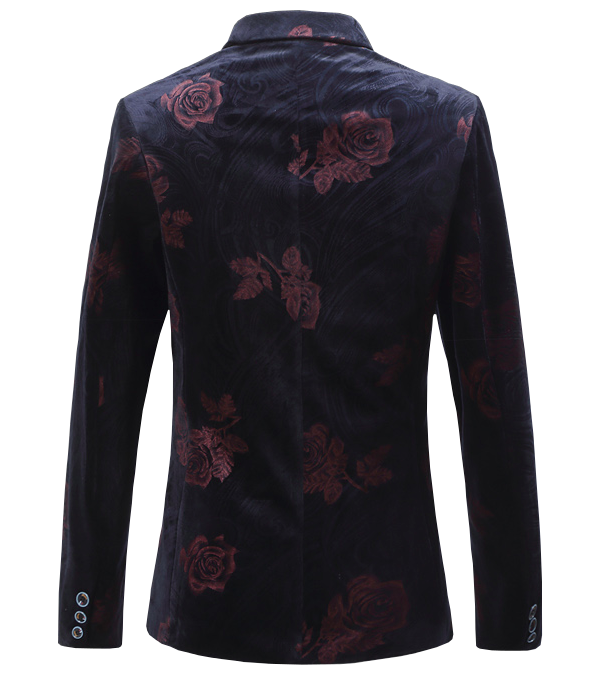 The burgundy rose floral pattern is admirable and will definitely make you look and feel amazing. 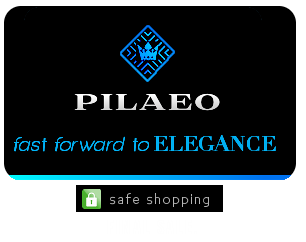 Wear this for an elegant, modern look.